Caterpillar Chief Executive Officer Doug Oberhelman (L) and IronPlanet/Cat Auction Services Chairman and CEO Greg Owens. IronPlanet's February 2016 Cat Auction Services sale got off to a big start on February 8th and has continued its momentum throughout the week. 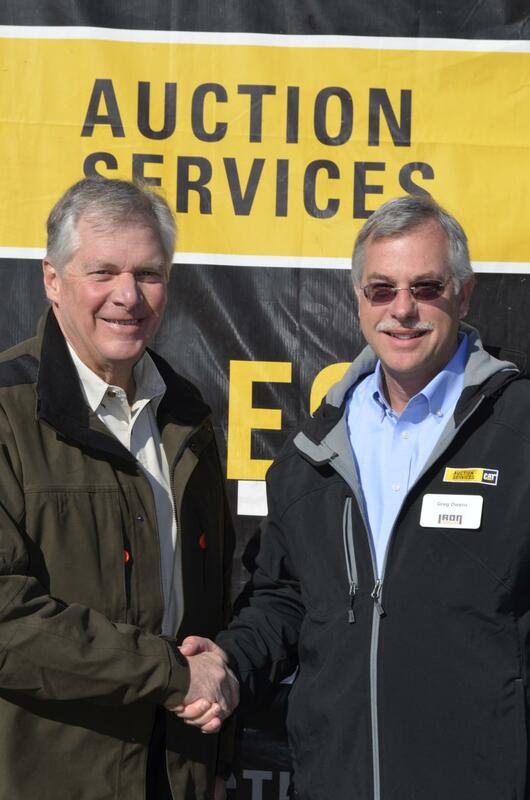 Caterpillar Chairman and Chief Executive Officer Doug Oberhelman visited the Cat Auction Services auction site where there is an impressive line-up of used Cat equipment, as well as a broad selection of equipment from other OEMs, construction and rental companies, dealers and national retailers. “Caterpillar is excited to support Cat Auction Services and IronPlanet in their February Florida auction. I am very impressed with the quantity, quality and diversity of equipment for sale. Cat Auction Services and IronPlanet/Cat Auction Services are clearly setting a new standard in the auction marketplace,” said Mr. Oberhelman. IronPlanet added a fifth day to its Kissimmee, Florida, auction this year to accommodate the approximately 2,400 items up for sale. Ring Power Corporation is the host of this year's Cat Auction Services sale.